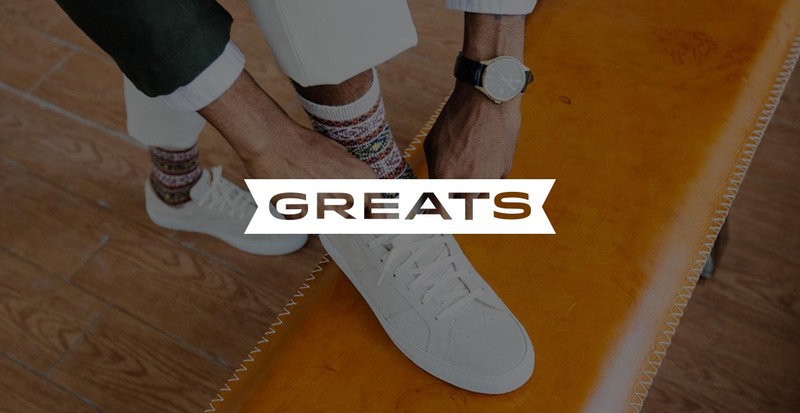 I am happy to announce our recent partnership with Greats, an up and coming men’s sneaker brand. They are disrupting the sneaker industry by creating a channel for men to buy high quality footwear at an affordable value price. They are able to do this by cutting out the traditional wholesale model of selling to distributors who then sell to consumers at a marked up price. They are looking to become the Warby Parker of men’s footwear. Contrary to their affordable prices, they take pride in the quality of their product. Brooklyn Based, their shoes are handmade in italy with the same fine leathers you would find on marked up designer footwear. In addition to the high quality footwear, they have also constructed a uniquely talented team of designers, business operators, and communicators (marketers?). CEO and co-founder Ryan Babenzien has established himself in the streetwear industry already, spending time working as Global Director at both K-Swiss and Puma and as CEO at Boast. He has a natural sense of creative direction and brand development, paired with a keen marketing strategy and ability to make tactful partnership. He is paired up with Jon Buscemi who has a demonstrated ability to design. Their combination of design ability, strong vision, and experience in the industry makes them the perfect pair for this new venture looking to disrupt the sneaker industry, and I’m excited for some new shoes!